If you are into blogging for quite a considerable time, you will not underestimate the importance of social media marketing. Social media has been one of the important aspects of SEO. But, the manual postings are something that would need to you to be quite super active on the social networks. Some of us would think that it is not worth enough and cumbersome to work overtime on the social media. Simultaneously, you can’t afford to ignore the importance associated with Facebook sharing. That is precisely where a tool that automates social media sharing becomes an indispensable tool. 1.1 What is Ninja Blaster? 1.2 Why is Ninja Blaster so necessary? That is precisely where a tool that automates social media sharing becomes an essential tool. Ninja Blaster is one such tool that works like a pro as long as social media sharing is concerned. Well, put simply, Ninja Blaster is a tool that offers you a huge range of services like posting to Facebook in an Autopilot mode. It is actually a great tool for the social marketing of your blog and content. Not only Facebook, Ninja Blaster is one of the best options to drive traffic to your site from Pinterest as well. What makes it the best choice for social marketing tool is the autopilot mode that it works on. Once you configure Ninja Blaster to perform the duties it is best known for; you can concentrate on building your site without the need to spend hours on promoting your site on the social media. Another aspect that the tool excels comes from the suggestions it offers you as long as most searched keywords are concerned. The software looks through five search engines to arrive at the best keyword suggestions. Why is Ninja Blaster so necessary? Well, Facebook has set limitations on sharing. Maybe they have their own reasons for setting that restriction. However, it can prove a little troublesome for bloggers and site owners. Ninja Blaster sets you free from this worry. The tool lets you free of the possible account ban for heavier posting. 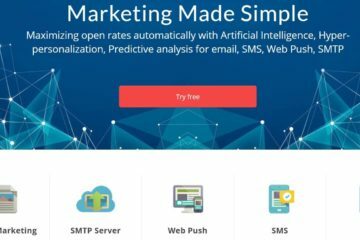 The tool enables you to drive quite a decent traffic to your site without worrying about the ban that may be imposed on you for posting on a large number of groups. The following points go in favor of Ninja Blaster in treating it as the best social marketing tool, or rather still, a Professional Social Marketing Tool. It allows you post to as many Facebook groups as you would want to. It offers you multiple Facebook features like Automated comments, shares and Page Likes. Ninja Blaster also supports Pinterest with options to post bulk pins or bulk images. It offers you related keywords so that using them in your posts or articles can drive more traffic to your site. Here we go with the detailed feature list of Ninja Blaster. The list is indeed quite impressive with a wide range of options. Update your group posts as frequently as you wish. Schedule the post and choose the interval between each post. Autopilot mode automates all the tasks. Save your precious time by joining your choice of groups in just one click. Keep updating your Facebook fan page at regular intervals without any manual intervention. 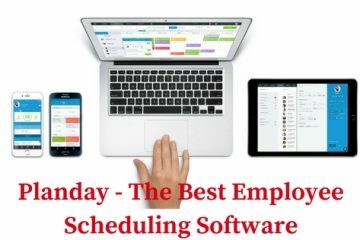 Save your time by scheduling multiple posts. Just choose an interval you would prefer and go with just with a single click. Scrape through your Gmail emails and save them as .txt files. Import the Gmail emails into a Gmail sender. Keyword research is one of the best features that Ninja Blaster offers you. It would suggest you the related keywords, in fact, the best keywords. Get the long tail keywords at ease. Ninja Blaster can find the keywords from five search engines including Google and Yahoo Bing. The tool lets you import keywords. You can keep updating your brand promotion on a regular basis. Facebook won’t be able to detect that you are using a software tool for promoting your brand. Keep updating your posts regularly in an Autopilot mode. The tool has the time-saving features that are unmatched by the competitors. Ninja Blaster is capable of driving huge traffic in practically no time. All the activities are automated. Ninja Blaster offers you three plans. The plans have been so designed to suit every user. Choose the one that best suits you. Monthly Plan – The monthly plan is priced at $ 9.95 per month. The subscription would be valid for a period of 30 days.The subscription can be renewed automatically, or manually on a monthly basis. Annual Plan – The Annual plan is priced at $ 59.00 per annum. The subscription will be active for a period of 365 days and can be renewed on an annual basis. Lifetime Plan – The lifetime plan is the best option if you want to use the features of Ninja Blaster forever. The subscription charges are $ 97 as a one-time payment. All the three plans come with free updates all through the subscription period. Choose the best plans that suit your requirements. If you have not decided on whether you want to use the software, you can use the trial offer. The free trial offer comes with a three-day validity. You can use the service for three days and then decide whether you want to opt for any of the subscription packages. Ninja Blaster is one of the most promising online marketing tool currently available. You can use it to promote your online brand. You need not worry about how to promote yourself on the social media. Just concentrate on your work, and leave the promotion to the super active performer called Ninja Blaster. The tool is specifically built for Facebook and Pinterest. What are you waiting for? Head over to Ninja Blaster today! If you have already used the software before, we will welcome you to share your views about the tool with us. 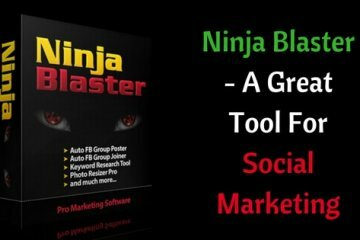 Ninja Blaster is a must have tool for marketers those who focus on Social traffic. I was just looking at your Ninja Blaster Review, one awesome piece of information you got out there. The features are amazing and am using it from past 3 months. Good to know that you enjoyed our review, and it was helpful for you. Do spread the word about the useful information we share on our blog. Visit again for more such engaging articles. Ninja Blaster is good & am using it from past few months. Great one. Cheers!